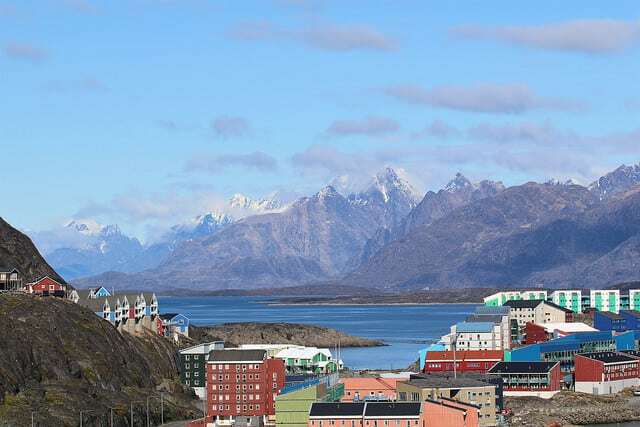 Blogs Marine Scotland Collaborations Go west....to Greenland! We’re excited about bringing you this next blog. 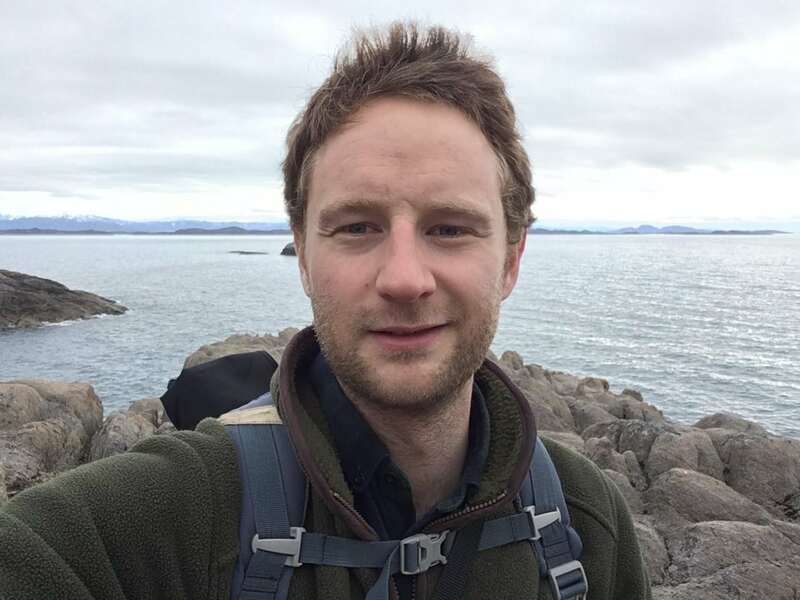 Sean, who you’ll read about below, is taking part in a West Greenland Salmon Sampling trip. 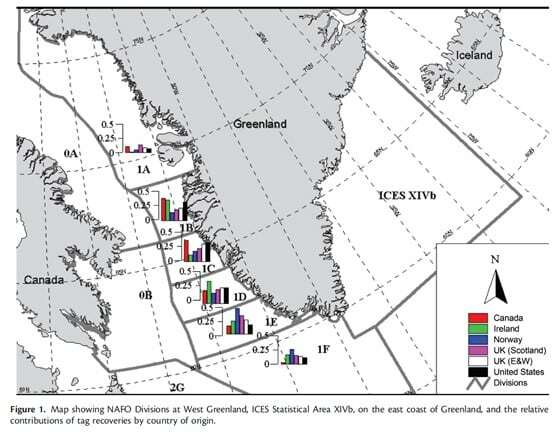 But what is it and why is sampling done in Greenland? Read on to find out…. My name is Sean Dugan and I am based at the Marine Scotland Freshwater Fisheries Laboratory near Pitlochry. I am employed by Fisheries Management Scotland (FMS) with joint funding from Marine Scotland (MS), Scottish Environment Protection Agency (SEPA) and the fisheries trusts and boards. My role involves providing support to local fisheries managers in Scotland; in terms of data collection, data storage, training and mapping services. I am responsible for facilitating the sharing of data between fisheries trusts, MS, and SEPA. My role also involves working with MS to support fisheries management planning and salmon conservation regulations. MS fund expenses on the trip and my time is covered by a combination of annual leave and FMS. I have been on the waiting list for this trip for four years and have finally arrived in Maniitsoq, West Greenland. I will keep you updated with photos and insights during my trip. You can keep up with my Greenland Flickr photostream here. Scotland’s wild Atlantic salmon fishery generates over £100 million per year for the rural economy. Populations across the North Atlantic have declined in recent years despite reductions in exploitation and many other freshwater conservation efforts. Atlantic salmon have an anadromous life cycle meaning that they migrate from salt water up rivers to spawn. After hatching juveniles usually spend between one and three years in freshwater before migrating to sea. Salmon feed across the North Atlantic and travel as far as West Greenland. After a year or more at sea salmon return to the river of their birth to continue their life cycle. The likelihood of salmon surviving their marine migration has declined in recent decades to a situation where less than five out of every 100 salmon leaving the Scottish coast return safely. This decline has prompted international research efforts including the West Greenland Salmon Sampling Programme. In the 1960’s and 1970’s the West Greenland salmon fishery involved vessels from numerous countries intercepting fish originating from North America, continental Europe, Iceland and Greenland. At the height of the Fishery in the early 1970’s up to 2700 tonnes of salmon were caught. Many of the salmon populations from the natal rivers have experienced large declines and some are now facing extinction. Scientists have sampled salmon in West Greenland since the 1960’s with an increased co-ordinated effort since 2002. Since then, Scottish Government have contributed to this sampling effort by funding a Scottish sampler each year. Four regions in Greenland will be sampled in 2018 by samplers from several North Atlantic countries, co-ordinated by Tim Sheehan of National Oceanic and Atmospheric Administration (NOAA), in Massachusetts. Information collected is used by the International Council for the Exploration of the Seas’ (ICES) to provide catch advice to the North Atlantic Salmon Conservation Organisation (NASCO) including the composition of the mixed stock fishery and region of origin (see map below). NASCO is an international organisation, established by an inter-governmental Convention in 1984, to conserve, restore, enhance and rationally manage Atlantic salmon through international cooperation taking account of the best available scientific information. Sample data is also used to account for under-reporting of catches if samplers record more fish than are reported. Salmon are sampled opportunistically as they are brought to port from subsistence coastal netting operations. Basic characteristics such as length and weight are taken further to the collection of tissue samples to understand the region of origin through genetics. Scale samples are collected to reveal the individual life history of each salmon (e.g. how many years did it spend in freshwater and at sea, what was the growth rate while at sea?). Sampling in previous years demonstrates that all captures are multi-sea winter salmon meaning that after leaving their home river they will spend more than one winter at sea before returning. All salmon are also searched for the presence of tags which come in many forms and can be external or internal. If the salmon is adipose fin-clipped then it is extensively searched with magnifying glass and metal detector as this is an indication that a tag could be present. Tagging is still the only way to understand the exact origin of each salmon. However, genetic analysis is rapidly improving and now has the ability to assign a fish to broad geographical regions (e.g. countries) with a high level of precision. ICES maintains a database of Greenland tag recoveries with around 6000 records from Canada, France, Faroes, Greenland, Iceland, Ireland, Norway, Spain and all parts of the UK. Analysis show that salmon from Northern Europe have a more easterly distribution within Greenland than fish from southern Europe. Across the West Greenland ports sampled, North American fish were more commonly found in the Northern regions (including Maniitsoq where I am stationed) than European-origin fish (see map below). Based on the time between tagging and capture it is also thought that North American fish take a more direct route to West Greenland than European fish.